Getting ready for a big trip but don’t want to check your luggage? Travel carry-on! It’s a much simpler way to travel, and now that checked bag fees are so common, it’ll save you money, too. 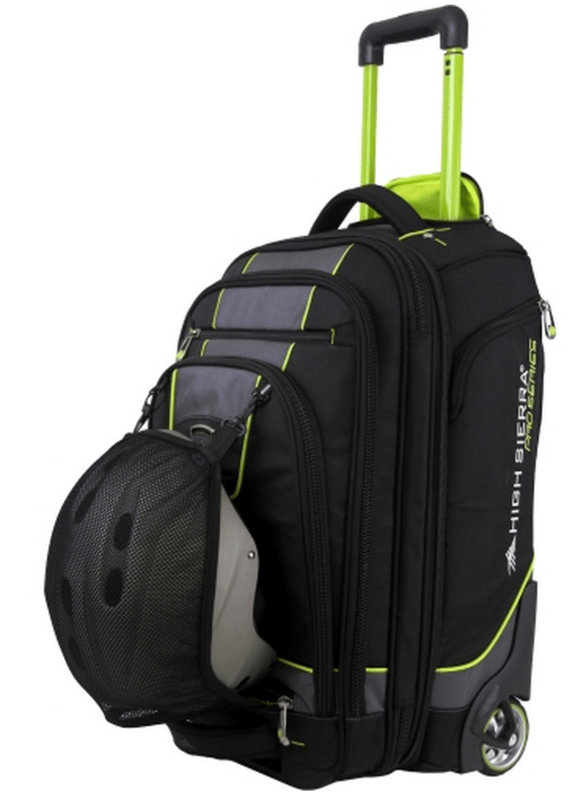 Here’s an extremely versatile bag that gives you maximum space (within airline limits) and has three methods for transportability. We took this bag on our three month trip to Europe, and it worked out great! Straps for the occasions when you need backpack convenience (cobblestone paths, rushing around over lots of curbs or steps) — These are hidden in a zipper compartment on the back of each bag. Note: The straps are not super comfy, but they’re just fine for short periods of backpack carry. For our three-month trip to Europe, we pushed the limits of carry-on travel. 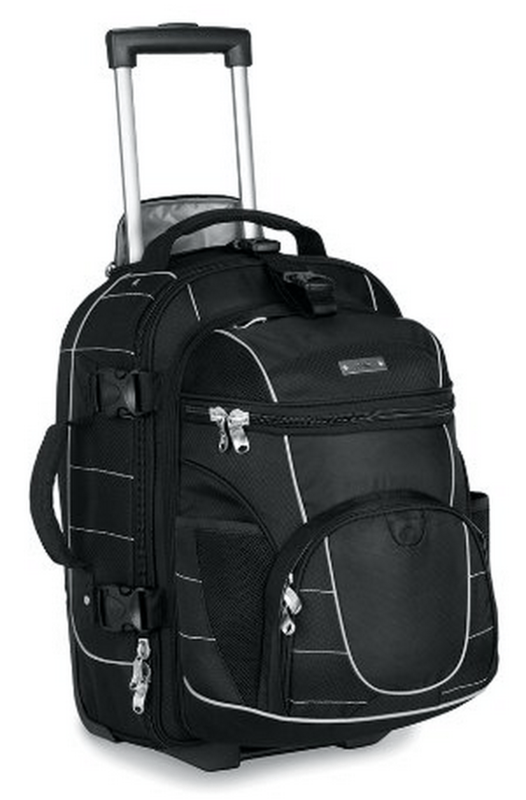 We got the absolute largest wheeled carry-on that High Sierra offered. This bag is actually marketed for transporting ski or snowboard boots, but it was less expensive than most REI options (our favorite store), and it accomplished what we needed it for, so we went for it. It comes with a hideaway mesh pocket on the front of the bag, which is perfect for carrying a jacket, helmet, or dirty laundry. There are LOTS of zippers, too, so staying organized is easy. The bag is expandable which’ll give you a few extra inches of depth. And we love the middle compartment, which fits both of our laptops perfectly! Good to know: when it’s packed in expanded mode, it may not fit some airlines’ limits. 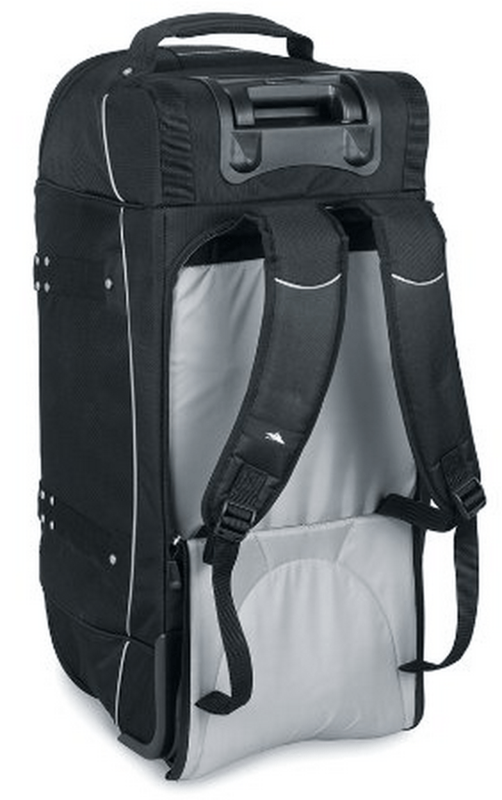 It’s a bit smaller than the boot bag, but it still offers the same main features. It’s got the backpack straps and three handles, but an added attachable daypack may sell you on this one instead. 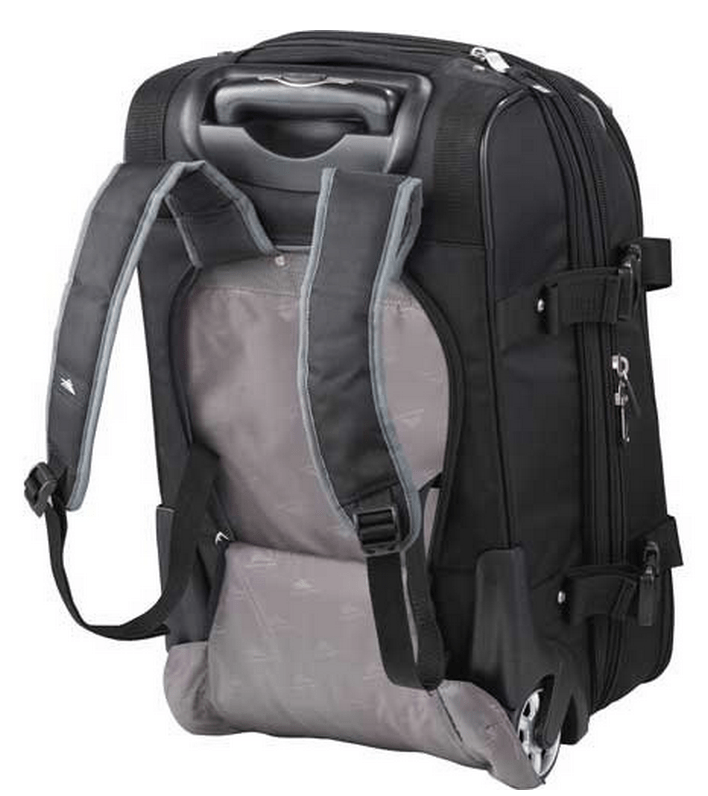 Of course, the bag does exceed most carry-on limits with the daypack attached to the front. But for airlines that allow it, you can count your daypack as your “personal item” and place it under the seat in front of you. With a sleeker look than the other two, the Elite bag wins the style category. 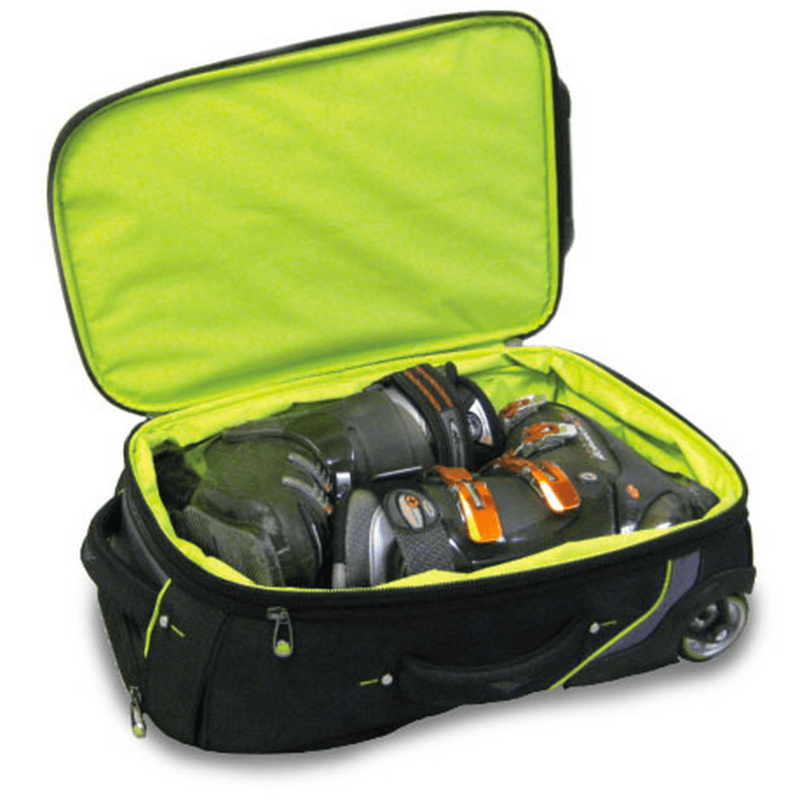 Like the Boot bag, it too has an expandable main compartment which pushes it past carry-on limits when extended. This one also has two separate large compartments, so packing items for two different people would be easiest with this bag. I wish this option had been available back when we were buying! 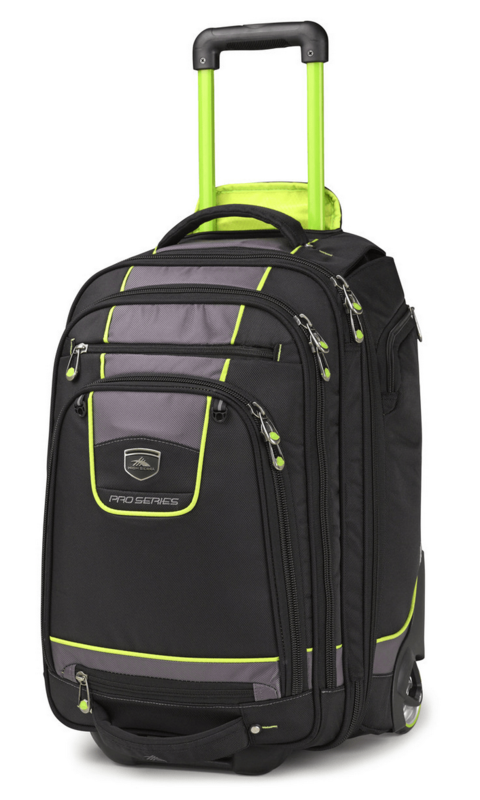 What do you think of these wheeled backpack carry-on bags? Would they work for your travels?